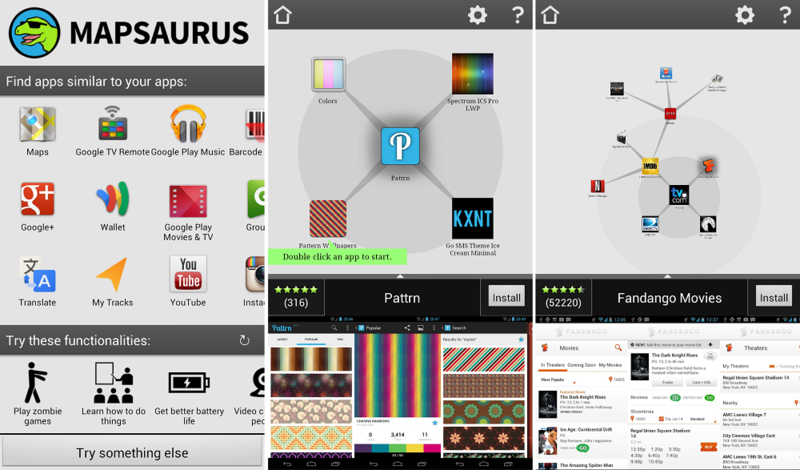 A new application called Mapsaurus is a great way for users to find new apps that they may enjoy, based on the apps they already have installed. For example, I clicked on my favorite wallpaper app (Pattrn) and it brought up four other apps that it thinks I would like. From there, you can hit each individual suggested app and see four more suggestions for that app, creating a huge app tree. You can search based on your already installed apps or you can choose from fun categories, like Play Zombie Games or Get Better Battery Life. If you’ve been needing some sweet new apps, check it out.